Stiff; Low weight; Competitive cost. Stabilicore is G&G Industries exclusive custom molding technology. Stabilicore utilizes proprietary chemistry & proprietary delivery systems developed at G&G to enhance the composite molding process. Stabilicore has proven to be highly effective over the years. Its key benefits include high strength-to-stiffness weight ratio, complete design flexibility, and a competitive cost. By adjusting Stabilicores glass content and core thicknesses, a wide range of parts can be produced; Stabilicore is extremely versatile. 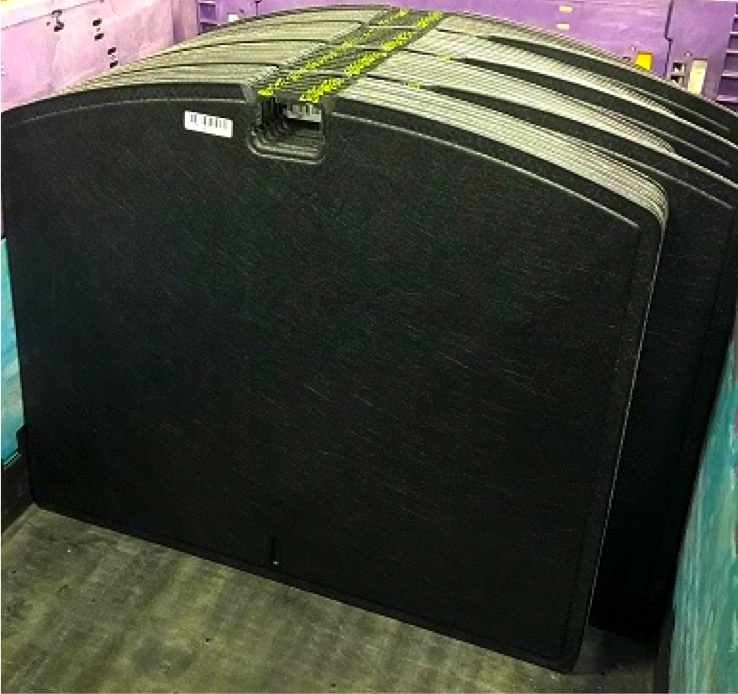 While a sunshade represents a thin, lightweight, full trimmed part application, Stabilicore is also used in thicker, load-bearing Load floor panels. Stabilicore can be molded into complex shapes, with varying thicknesses for unique part applications. The parts can be covered with a wide range of textile materials, and offer tremendous weight savings over traditional materials. The Stabilicore process utilizes proprietary chemistry & delivery systems that are unique to G&G Industries. 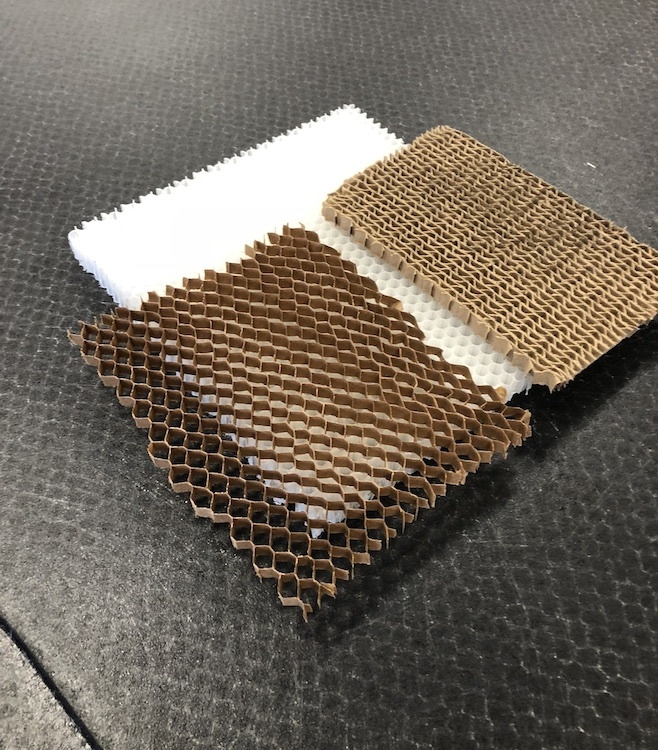 Stabilicore is manufactured using an automated spray application over a composite core of paper honeycomb and fiberglass. Have G&G Industries develop your next part! • Load floors have optimized glass and polyurethane content to meet physical requirements and cost objectives. • Load Floors are thermoset and demonstrate exceptional dimensional stability, resistance to heat sag while maintaining a very high flexural modulus. G&G’s production system is capable of high volume production runs, with less than average maintenance as compared to other delivery systems, making it ideal for high-volume production. With a high strength-to-weight ratio, complete design flexibility, and a competitive cost, Stabilicore is the ideal solution for almost any interior trim component.